Scottish Opera trumpeter, Simon Bird, played a haunting, “heart soaring” rendition of the Last Post during a Remembrance Service at Wellington Church of Scotland in Glasgow. Simon Bird played The Last Post on Wilfred Owen's bugle. The soldier, known for his verse about the horrors of trench and gas warfare, was killed in action on 4 November, 1918, a week before the Armistice was signed. 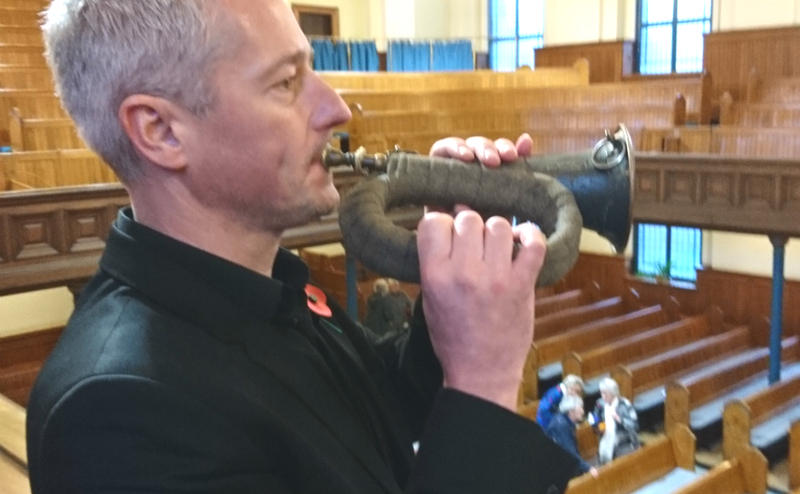 The bugle, taken from a dead German soldier, is still owned by the family of the poet who loaned it for the performance on Remembrance Sunday. Fiona MacDonald, a trustee of the Wilfred Owen Association arranged for the instrument to be used. She said: "It was played in public for the first time on November 4th, 2018, at Owen’s grave in Ors Communal Cemetery at Ors in France. "The bugle was taken from a dead German soldier by Wilfred Owen in May 1917. “He wrote to his youngest brother Colin and said that he had thought to give the bugle to Colin, but had 'now become too fond of the thing to part with it'. "So it is a German bugle - bringing to mind the poem by Owen 'Strange meeting' - where a dead British soldier meets a dead German soldier, and includes the line, 'I am the enemy you killed my friend'. "It is a tangible link to Wilfred Owen the man, the soldier poet, who died at just 25." 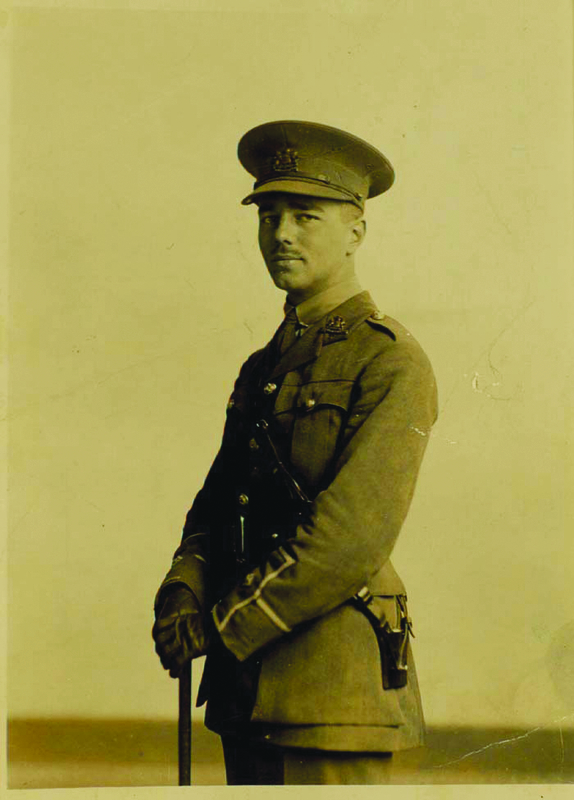 Commissioned as a second lieutenant in the Manchester Regiment, Wilfred Owen's powerful poetry helped change the public view of the war. His bravery was recognised posthumously in 1919 when he was awarded the Military Cross. Alan Kitchen, director of music at the Wellington Church, said: "I felt that it was important to mark the centenary of the Armistice with appropriate music. "To that end I had endeavored to harness the musical talents we have available within Wellington and from further afield to offer what was intended to be a fitting Remembrance Day service. "It was an extra special dimension to hear Simon playing an instrument which had been largely silent for 100 years, and which was a direct link to both the First World War and to Wilfred Owen, the soldier poet." Former Moderator of the General Assembly of the Church of Scotland, Very Rev David Lunan, who preached at the service on the theme of 'Another Way', said Mr Bird's rendition was a poignant addition to the service. "Simon’s trumpet playing made our hearts soar, and the fact that he was using, for the Last Post, the bugle which belonged to the man whose poetry has defined for all time the First World War, was a singular honour for everyone present." Mr Bird said the full significance of the honour didn't sink in until the bugle was delivered to him at 9am that morning. "It wasn’t till the start of the service that I realised the huge significance of playing such a important instrument on this day 11/11/2018,” he added. "I thought to myself this bugle has a huge historical background and today I will become part of that history , a story to tell my own children. "The instrument was played at a private dinner in Edinburgh's Redford Barracks last month.